With new technological developments Vinitaly’s International Wine Competition stepped further than other rivals. VeronaFiere has put the wine judgement experience to an ultimate end of relaxation where points calculations and endless paperwork are nonexistent and wine judges can easily smoke a cigarette in between two wines. “Oh my God”, — was the first unhappy remark I heard from the fellow Italian winemaker when we were presented the new scoring process on the 26th of March 2014. The thing is all built with an IPad application. No more papers, pens, no more mistakes and painfully amending marks, no missing sheets of paper, no live signatures — all of that is the matter of the past with the new Vinitaly competition technology. After a short confusion the participants got a quick grip of the new toy. With wine judgement as elementary as moving a finger on the Ipad screen Vinitaly competition leaves the jury mostly sitting and staring at each other, rather than judging the wines — so fast it has become. The only old-fashioned thing preventing from increasing the number of participating wine samples seems to remain the human factor — sommeliers bringing and pouring the wines. When asked what would happen if the main server which collects all the data from a hundred of IPads goes down, Giuseppe Martelli, the President of the Italian Enologists Association exclaimed: “No way!”. Well, he’d know but I still think that Vinitaly should be ready for things like electricity malfunction or other technical problems. Or maybe I just had too much of that Russian experience in my life? The new comfort comes with a bundle of new capabilities: you can re-judge the wines of the current flight at any moment while these wines are on your table — no need to go through tens of sheets of paper any more. You can put yourself into any position — even hide below the table and judge from there — all iPads are communicating with the main server wirelessly. The next big thing with the app are certainly the ratings themselves — Ipads calculate them in real-time while you fill them in. Calculations of the final score has gone to the past — every Vinitaly judge knows immediately how he rated the moment he finishes. Even if your math skills blow your Vinitaly experience will still be great. 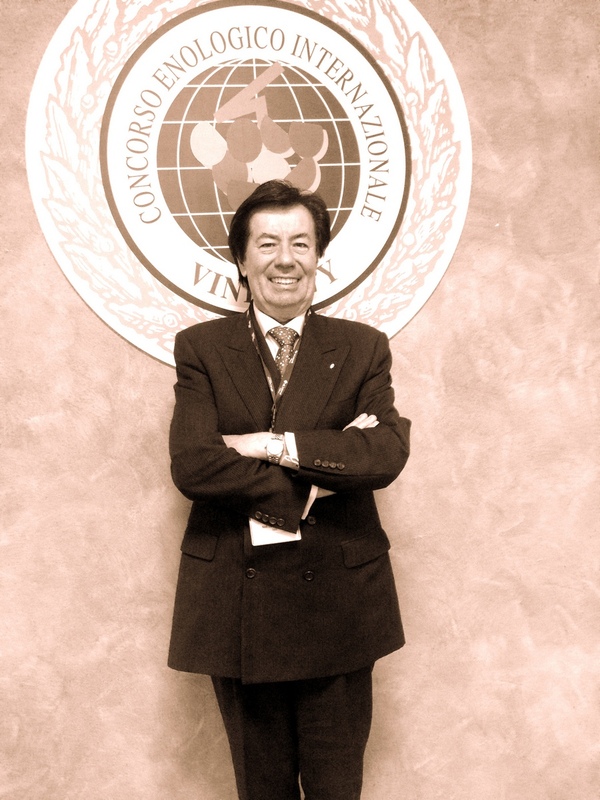 With all respect to the new technologies, Vinitaly International Wine Competition is no place for a newbie wine judge. Unlike many other big wine competitions this one’s regulations tell you not to communicate to other judges while in the process — even to your team members. As a judge you have to come prepared in battlefields like Concours Mondial de Bruxelles or others — to be capable of producing scores that will actually fit and correspond with the other’s scores. 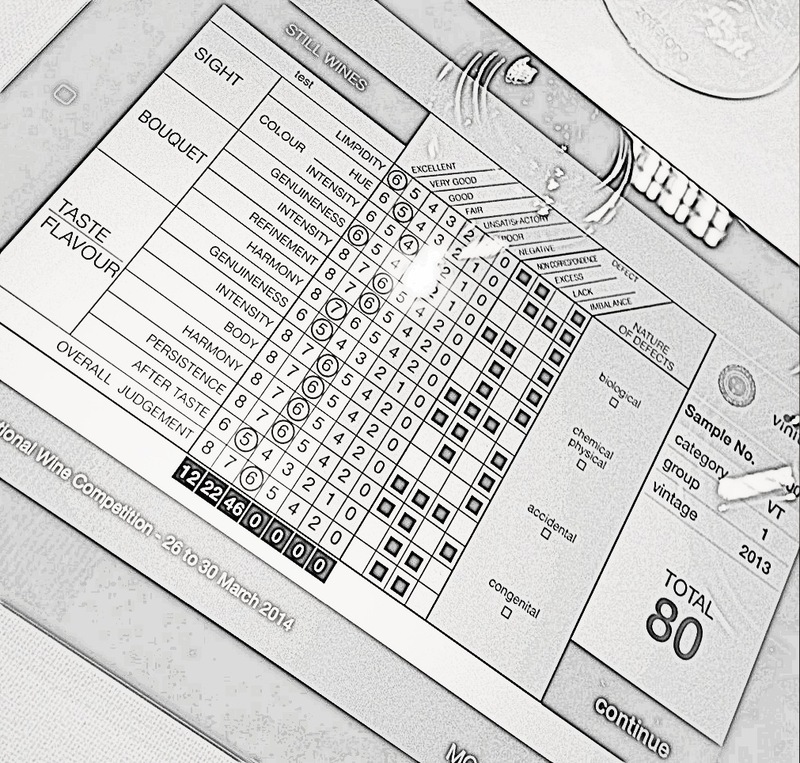 Otherwise, if you are mostly strict to the samples or too generous — your marks could easily be eliminated from the judging process by the competition rules. Brave judges — be aware — and cautious. Of course, if you want your score to influence anything. The other thing is that you mostly never know what others thought about the wine unless your team is communicative enough to share the scores afterwards and discuss, which most times isn’t the case at Vinitaly competition. Sailing on your own it is. This sense of judging privacy has its advantages. As Sr Martelli noticed you’re mostly not being influenced by strong experts or opinion leaders as in theory could happen in events like Concours Mondial. It gives you enough freedom to judge a wine whatever you like. Still, I’d argue that judging in isolation is a good thing. Current judgement panels in events like Concours are normally headed by experienced judges who know that independence and freedom of judgement are the key elements of any wine competition. Moreover, newly coming judges might not have enough experience, they do come from different countries, cultures and have different backgrounds. It’s almost a necessity to brief them on how the competition works, how the wines are judged, what are the scores that correspond to actually good wines and what scores can describe the bad ones. As Jamie Goode noticed recently in his short video on wine ratings (starting from something like “I hate ratings, but I have to use them”) is that wine ratings 10 years have been completely different than they are now. The scale of “good” wines has significantly shortened and most consumers were led to the idea that a wine below 90 points does not deserve the right to exist. While at wine competitions ratings like 85 would actually be very good ratings. At this point new coming judges do not always have this feeling. Ultimately, judges are human beings too — they need to learn, they need to see how it is done by those who has experience. And — by the way — how to defend your opinion publicly, even if it happens just within your team. It’s also a bit frustrating that Vinitaly’s judges do not get serious brief on the interpretation of the statistics gathered during the event. In other words — we are not given an idea of internal mechanisms of data analysis before the event — while at other events those things are essential. Still, Vinitaly’s judgement rules are different from those of other competition. This, for example, refers to the practice of assigning medals only to wines that have been tested not only by just one, but by several completely different panels of judges. I’d also strongly suggest Vinitaly to not only give a detailed explanation of how their statistics work, but also update each judge about his/her performance in comparison to the panel. With this amount of IT ideas behind the current Vinitaly it could simply be a piece of cake. One last things to ask the Vinitaly bright team — please, oh, please, add Angry Birds to the judges IPads!